The Clearwater Tribune is the official county newspaper of beautiful Clearwater County, located in north-central Idaho. Orofino is the county seat. Other towns in Clearwater County include Weippe, Pierce, Ahsahka, and Greer. We at the Clearwater Tribune are dedicated to providing interesting, informative hometown news. Fourth of July is a favorite time for Americans to visit their National Forests. The following information will help you plan your visit to the Nez Perce-Clearwater National Forests. Please be advised that all Forest Service offices on the Nez Perce-Clearwater will be closed on Tuesday, July 4. Offices will be open on Monday, July 3 for you to purchase a firewood permit, obtain a mushroom permit, acquire forest maps, or to answer any questions you may have before the holiday. Please remember that fireworks are prohibited on National Forests. There are no fire restrictions at this time, but recreationists are reminded to use caution with any outdoor activity that may cause a spark. Never leave campfires unattended. Remember, if it’s too hot to touch, it’s too hot to leave; pour water and add dirt to your campfire until it is cold. One spark is all it takes to start a wildfire that could burn thousands of acres of our National Forests, impacting its wildlife, recreation opportunities, and beautiful landscapes. Report all fires to 911 or the Grangeville Interagency Dispatch Center: (208) 983-6800. Dozens of campsites in several Forest Service campgrounds will be open for visitors during the holiday. Many campgrounds have helpful hosts who can provide information about outdoor recreation in the local area. Camping is also allowed at sites outside of developed campgrounds, known as “dispersed sites.” If you camp at a dispersed site, leave no trace of your stay; use existing fire rings if available, and pack out your trash. Most campgrounds offer first-come, first-served site selection, but a few campgrounds have sites that you can reserve. To reserve a campsite, call toll free at (877) 444-6777 or reserve online at www.Recreation.gov. A stay at the Adams Ranger Station cabin, located near Grangeville, is a great alternative to camping. The fee is $50 per night with a minimum of two nights’ stay on weekends. To make a reservation, visit the Adams Ranger Station information page at www.Recreation.gov, or call (877) 444-6777. Many forest trails are accessible at this time, but visitors should be prepared to encounter high creek crossings, downed trees, rocks, and debris. Always travel with care. Check with your local ranger station for a complete list of trails that have been cleared to date. Stay safe and protect sensitive plant life by staying on designated trails. Always yield to stock. Giant White Pine, Laird Park, and Little Boulder campgrounds are great places to spend the holiday weekend. Please be advised that Laird Park does not currently have potable water available. Elk Creek Campground, one mile north of Elk River, accepts reservations and boasts good RV access as well as electrical hookup sites. The Palouse District also has three picnic sites that can be reserved for your fun-filled Fourth of July get-together. Portions of the Palouse Divide road #377 are closed due to logging activity and a landslide. Alternative routes are available to popular areas such as Bald Mountain Lookout. Aquarius, Washington Creek, Weitas Creek, and Noe Creek campgrounds are currently open for visitors to enjoy. Noe Creek Campground does not have potable water at this time; visitors should plan to bring their own drinking water. French Mountain road #250 is open to the Kelly Creek trailhead. Several roads on the North Fork Ranger District have been closed to protect public safety due to road failures caused by spring conditions. This includes a portion of Deception Saddle road #255 between its junctions with road #250 and Osier Cut Off road #735. Please use caution when travelling forest roads, as additional road failures may develop as thawing conditions continue in the high country. Two campsites on the Lochsa/Powell Ranger District – Wilderness Gateway and Powell - accept reservations. Wilderness Gateway, Powell, Wendover, and Whitehouse campgrounds all have good access for RVs. Powell Campground offers electrical hookup sites. All of these campgrounds are located along Highway 12. The Lolo Pass Visitor Center and Lochsa Historical Ranger Station will be open on July 4 to welcome visitors, so make sure to stop by for a visit! The Lolo Pass Visitor Center, located on Highway 12 at the Idaho-Montana state line, is open seven days a week from 7:30 a.m. to 5 p.m. (PDT). The Lochsa Historical Ranger Station, located 48 miles east of Kooskia on Highway 12, is open seven days a week from 9 a.m. to 5 p.m.
Saddle Camp road #107 is closed at its junction with Highway 12 at the bridge to Grave Creek due to road re-construction, which may impact those travelling to the area for the holiday. Snow persists on the Lolo Motorway, making it inaccessible to through traffic. Snow, mud, and runoff persisting on many roads limits access elsewhere on the district. Visitors may encounter downed trees and debris, making travel difficult. Motorists are encouraged to pack chains for the front and back of vehicles, as well as a chainsaw. O’Hara Campground, located seven miles east of Lowell along Selway River road #223, accepts reservations and has good access for RV campers. Landslides have impacted several roads on the Moose Creek Ranger District. O’Hara road #651 is closed from the junction with Trailhead #713 to its junction with road #1129. Falls Point road #443 is closed at milepost 24 to its junction with Selway River road #223. Swiftwater road #470 is closed beginning at the Swiftwater Bridge to its junction with road #470A. Fog Mountain road #319 is closed to vehicles greater than 50” wide. Two campsites on the Salmon River Ranger District accept reservations: the Fish Creek group site, and the South Fork group use site #5. Fish Creek, South Fork, and Castle Creek campgrounds have good RV access. All of these campgrounds are located along Highway 14. While many roads on the Salmon River Ranger District are open, visitors should be advised that road closures are in effect in some places due to log hauling. This includes Slate Creek road #354, which is closed on weekdays (including July 4) from 6 a.m. to 6 p.m. The road is open on weekends. Visitors travelling in the area should be aware of increased log truck traffic; travel with care. The popular Magruder Corridor road #468 is open until its junction with Green Mountain road #285. However, snow persists farther along the route, making it inaccessible for through travel. Travelers on Idaho County road #233 on the Crooked River Corridor should expect to encounter forest personnel and heavy truck traffic along the road due to ongoing projects in the area. The road is narrow with limited opportunities to turn around. Visitors are urged to use extreme caution when travelling in this area. Road #464 is currently closed on weekdays (including July 4) from 3 a.m. to 5 p.m. due to log hauling. Please note that Crooked River Campground #3 is temporarily closed. Visit the forest website or contact your local ranger station for more information about the area you are interested in before you begin your trip. Trail conditions are found at https://www.fs.usda.gov/detail/nezperceclearwater/home/?cid=fseprd506117. The Alerts & Notices page (https://www.fs.usda.gov/alerts/nezperceclearwater/alerts-notices) contains lots of important information, including road condition reports. Contact information for local ranger stations can be found at https://www.fs.usda.gov/detail/nezperceclearwater/about-forest/offices. The Nez Perce-Clearwater National Forests would like to wish everyone an enjoyable and safe Fourth of July. The Clearwater Memorial Public Library (CMPL) Foundation will launch a major fundraising campaign on Friday, June 30, at the High Country Inn, outside of Orofino. 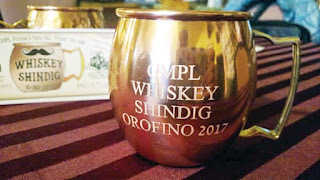 This kick-off event is a “Whiskey Shindig” and will award free engraved copper mugs with each ticket sold. The purpose of this newly formed foundation is to build a much-need expansion to the Orofino library, which has not had a remodel in more than thirty years. Volunteers of the CMPL Foundation hope to raise $225,000 in the near future, which will be enough for Phase 1 of the expansion project. The Whiskey Shindig event, with an old-time saloon theme, will begin at 6 p.m. Friday, June 30, and will include a sampling of various types of liquor, a bar featuring lots of kinds of “Mule” drinks, as well as non-alcoholic beverages, live music, a photo booth, food, and plenty of fun, as attendees are asked to bid for parcels of square feet of the proposed addition. Montgomery Distillery will be on hand at the event with products from their small-batch distillery in Missoula, MT. 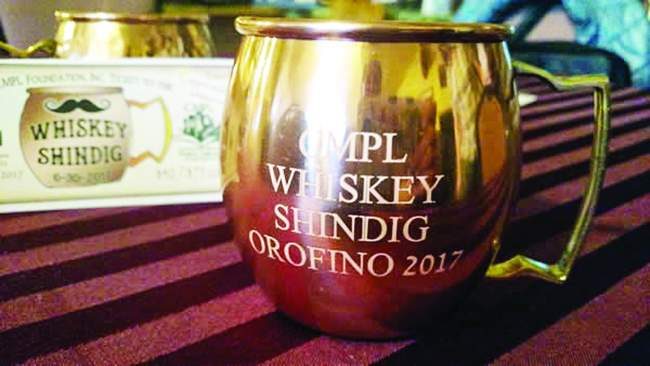 They strive to blend tradition and innovation in their distilling process, and also emphasize a mission of giving and are excited to work with CMPL in our fundraising campaign to expand the library. Everyone in the community who is interested in the cause for literacy for young and old is urged to support this project. Tickets are $40 per person, $75 for couples, and will include the copper mug with each purchase, to be given out at the door. Tickets are available at the Orofino library (CMPL) on Michigan Avenue in Orofino, or call 208-476-3411. Pictured: Everyone who attends the Whiskey Shindig will receive a complimentary engraved copper mug. Orofino Farmers Market is excited to be opening the 2017 season on Tuesday, June 6, with markets continuing every Tuesday into October. The market is located each week under the trees in beautiful Orofino City Park. Sales this year will start at precisely 11 a.m. and go until 4 p.m., with the possibility of some vendors staying later. Our market prides itself on being an outlet for local food growers and home-based producers and craftspeople to provide fresh and unique products to the community. Stop by the market with your friends and family every week as the season progresses for an ever-changing selection of products. Manic Tacos will be there on opening day with their famous pulled-pork tacos, burritos, and other delicious treats. If you are interested in selling your home-grown produce, crafts, or food at market this summer, call 208-816-1644 for more information. Visit Orofino Farmers Market on Facebook for weekly market and vendor updates. The upcoming Memorial Day weekend provides a great opportunity to visit the Nez Perce-Clearwater National Forests. The following information will help you plan your visit. Please be advised that all Forest Service offices on the Nez Perce-Clearwater National Forests will be closed on Memorial Day, May 29. Most campgrounds on the Nez Perce-Clearwater National Forests offer first-come, first-served site selection, although you can reserve campsites at a few campgrounds managed by the forest. Contact your local Forest Service office for a list of local campgrounds that accept reservations. To reserve a campsite, call Recreation.gov at 1­ (877) 444-6777, or visit www.Recreation.gov. Reservations should be made at least four days in advance. Visitors can also camp in areas outside of developed campgrounds, called “dispersed sites.” However, campers who choose to stay in dispersed sites should take extra care to protect natural resources such as vegetation. If you camp at a dispersed site, leave no trace of your stay. Use existing fire rings if available, and pack out your trash. Numerous trails on the Nez Perce-Clearwater National Forests are currently available for use by forest visitors. Please consider hazards involved with hiking before heading out on the trail, such as uneven terrain and steep grades. Hazards such as falling trees, rolling logs and rocks, poor tread, and holes from burned-out stumps are evident in places recently impacted by fire. Make appropriate safety considerations before heading out, which may include changing your travel plans. Be aware that conditions can change very quickly. All campgrounds on the Palouse Ranger District are now open. Laird Park, Little Boulder, and Giant White Pine Campgrounds are available on a first-come, first-served basis. Elk Creek Campground, near the town of Elk River, features 23 sites with electrical hookups; a portion of these campground sites can be reserved through Recreation.gov. Camp-ground hosts are in place to assist you during your stay. Water at campgrounds on the Palouse Ranger District has not yet been tested, so plan to bring drinking water with you on your trip. There is no trash service at any of the four campgrounds on the Palouse Ranger District, so please take your refuse with you when you leave. You can reserve group picnic areas at Little Boulder and Laird Park Campgrounds, as well as the pavilion at Elk Creek Campground, by calling the Potlatch Ranger Station. It is anticipated that Aquarius, Washington Creek, and Weitas Creek Campgrounds will be open for visitor use by Memorial Day weekend. Other campgrounds on the district, including Kelly Forks and Hidden Creek Campgrounds, are currently inaccessible. Water systems serving North Fork campgrounds are typically operational when campgrounds open. However, potable water might not be available until water tests are completed. Campers are advised to bring their own drinking water. Almost all of the trails on the North Fork Ranger District are currently inaccessible due to snow and downed trees. All campgrounds on the Lochsa/Powell Ranger District opened Monday, May 22, with the exception of Jerry Johnson Camp-ground. Jerry Johnson Campground will be open this season starting Friday, May 26. The RV dump at Wilderness Gateway Campground will be open by Wednesday, May 24. It is expected that most sites will have potable water by Friday, May 26; signage will be posted at any campground where water is not potable. A campground host will be arriving at Wilderness Gateway Campground on Thursday, May 25. Big Hill Trail #65 and Pete King Ridge Trail #708 are fully cleared. Mocus Point Trail #469, Van Camp Trail #16, Split Creek Trail #133, and Boulder Creek Trail #211 are partially cleared. All campgrounds on the Moose Creek Ranger District opened Monday, May 22. It is anticipated that the RV dump at Cedar Flats will be open by Friday, May 26. For those campgrounds providing water, water has been turned on and is potable. A campground host is currently available at O’Hara Campground. Selway River Trail #4 is cleared. Several trails on the district have been partially cleared, including Three Links Trail #405, East Moose Trail #421, Bear Creek Trail #516, Big Rock Trail #693, Glover Creek Trail #704, Gedney Trail #708, and Meadow Creek Trail #726. Fee campgrounds located along the South Fork of the Clearwater River, including Castle Creek and South Fork Campground, are open and potable water is available. Our friendly campground host is also available to help you settle in! Fish Creek Campground, located seven miles south of Grangeville, is open and potable water is available. A camp host will be on site in early June. Spring Bar Campground, located along the Salmon River, is open and potable water is available. All of these campgrounds have a fee of $12 a night. Rapid River Trail, located along the Salmon River, and Johns Creek Trail, located along the South Fork of the Clearwater River, are open and offer early season hiking opportunities due to their relatively low elevation. Red River Campground is open and potable water is available. Road condition reports and road closure notices can be found on our website: http://www.fs.usda.gov/alerts/nezperceclearwater/alerts-notices. Please contact the Ranger District where you plan to travel for the latest updates on road conditions. Portions of the Palouse Divide Road #377 are currently closed; alternative routes to areas such as Bald Mountain Lookout are available. Please visit our website for the closure order and map of alternate routes. Many roads on the North Fork are closed due to snow, ice, and landslides. French Mountain Road #250 is open for the first five miles, then closed between Pierce and Bungalow due to snow and ice. Between Bungalow and Kelly Forks, Road #250 is open, but is very rough with deep potholes – travel with care. Through Black Canyon, Road #250 is impassable due to deep snow, landslides, and avalanches. Deception Saddle, Road #255, is impassable due to snow and a major landslide. Toboggan Road #581 is closed due to snow. Heavy rain and melting snow might cause flooding on some roads – proceed with caution. Most roads on the Powell Ranger District, including Elk Meadows Road #373 and Granite Pass Road #595, are closed due to snow. Motorists should be sure to chain up before traveling on snow-covered, back-country roads. Heavy rain and melting snow might also cause flooding on some roads–proceed with caution. Most of the roads on the Salmon River Ranger District are open, except higher elevation roads such as Square Mountain Road #444. Travelers should use caution when traveling in areas of higher elevation. Many Forest Service roads on the Red River Ranger District are still closed due to snow. The Magruder Road Corridor (Forest Service road 468) between Elk City, Idaho and Darby, Montana is continuing to receive snowfall and is not currently open to through travel. Off-highway vehicle users, please note that ATVs and motorcycles driven on National Forest roads and trails are subject to state of Idaho registration laws and requirements. Contact your local motor vehicle department or the state of Idaho Parks and Recreation website (http://parksandrecreation.idaho.gov/) for a listing of registration sticker vendors and regulations. Also, please remember that all vehicles classed as UTVs (side-by-sides), regardless of weight or width, are not allowed on forest trails. The Lolo Pass Visitor Center, located on Highway 12 at the Idaho-Montana state line, will be open on Memorial Day, Monday, May 29. The visitor center will be closed on Wednesday, May 31 and Thursday, June 1. Lolo Pass Visitor Center may also be closed Friday, June 2. In the event of a Friday closure, signage will be posted at the facility and an announcement will be made on Facebook (https://www.facebook.com/Discover-Your-Northwest-Lolo-Pass-Visitor-Center-278605048836443/). Hours of operation are 7:30 a.m. to 4:15 p.m. (Pacific). Beginning June 11, Lolo Pass Visitor Center will be open seven days a week from 7:30 a.m. to 5 p.m.
Stop by the Lochsa Historical Ranger Station, located along Highway 12, 48 miles east of Kooskia. Forest Service volunteers host the site and are happy to answer your questions about what life was like at remote ranger stations in days gone by. Starting Friday, May 26, the site will be open from 9 a.m. to 5 p.m., seven days a week. For more information about activities on the Nez Perce-Clearwater National Forests, please contact your local Forest Service office or visit our website: http://www.fs.usda.gov/nezperceclearwater. Our website provides information about campgrounds, road and trail conditions, and contact information for your local Forest Service office. Ask a Clearwater County resident how they're doing this week, and you'll likely get some version of "Good, but I am sick of this weather." After a winter that brought the most snow we've had in at least 20 years, snow and rain continue to hammer us. This week has been particularly dreary, with endless rain causing ponding in city streets and some residential areas of Orofino. The Clearwater Basin's snowpack, unsurprisingly, is above normal for this time of year. The snowpack typically melts in May and June, and that runoff is what most affects the Clearwater River. It's hard to predict what will happen, but a high river and some ponding in Orofino City Park are definitely in the realm of possibility. Higher elevations, including Pierce and Weippe, continue to receive several inches of snow that sticks. Orofino has seen snowfall, but it always melts the same day it falls, and is a skiff or less. The soil is saturated from all the precipitation, causing rock slides left and right. Today, trees unable to stay rooted in the soaked soil tipped onto power lines in two different locations - once at a downtown residence, and another time along Highway 12. The section of Highway 12 between Orofino and Kamiah has seen the most rock slides, but there have also been slides on the Lewiston side of the Highway, plus on roads in the county such as Grangemont, Highway 11, and Upper Fords Creek. What the weather has in store for residents as we move into spring remains to be seen, but one thing is clear: Clearwater County is ready for sunshine! GOWEN FIELD, ID – The Idaho National Guard, along with Idaho’s Morale Welfare Recreation and Support our Troops programs held a special event Thursday evening announcing plans for an open house, Oct. 14 and 15, 2017. Self-Driving Cars: a Boon for People with Disabilities in Rural Areas? BOISE, Idaho - Idaho and the rest of the country are preparing for self-driving cars to hit the roadways, and new research says the technology could help people with disabilities. A bill was introduced in the Idaho Senate in 2015 for regulating autonomous vehicles, but it failed. © Clearwater Publishing, Inc. Simple theme. Powered by Blogger.